· SPx has been completely overhauled to deliver a super-premium product at a fraction of the cost per pack! 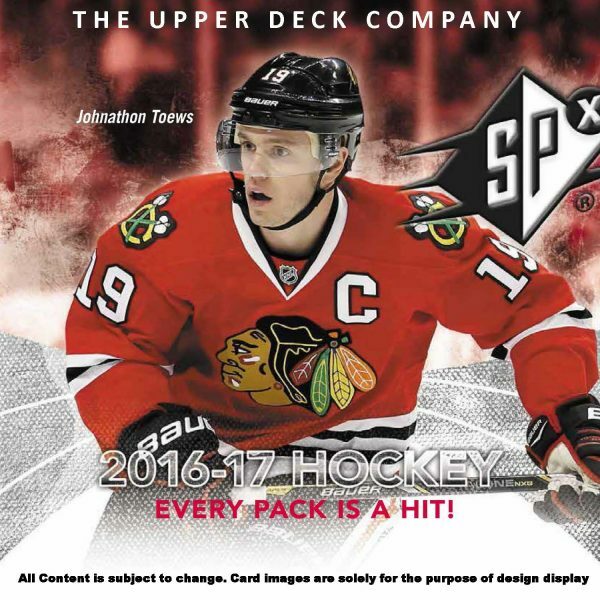 · The all-new configuration delivers four 1-card packs per box. 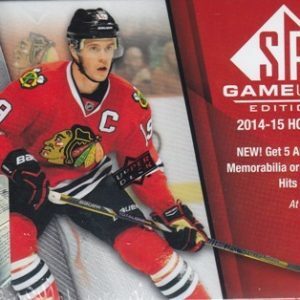 o Featuring at least one Autograph, one Memorabilia and one Technology card in every 4-pack box. In addition every box will receive a fourth hit being either an Autograph, Memorabilia or Technology Card! · 2016-17 SPx will feature an all-new wave of top rookies in a dynamic fashion! o Find the all-new Shadow Box Rookie Cards, featuring Base, Red Material, Blue Autograph and Gold Auto-Patch versions! o Be on the lookout for SPx Rookies inserts delivering a slew of future stars, including jersey, patch, auto-patch and auto-tag versions to chase! 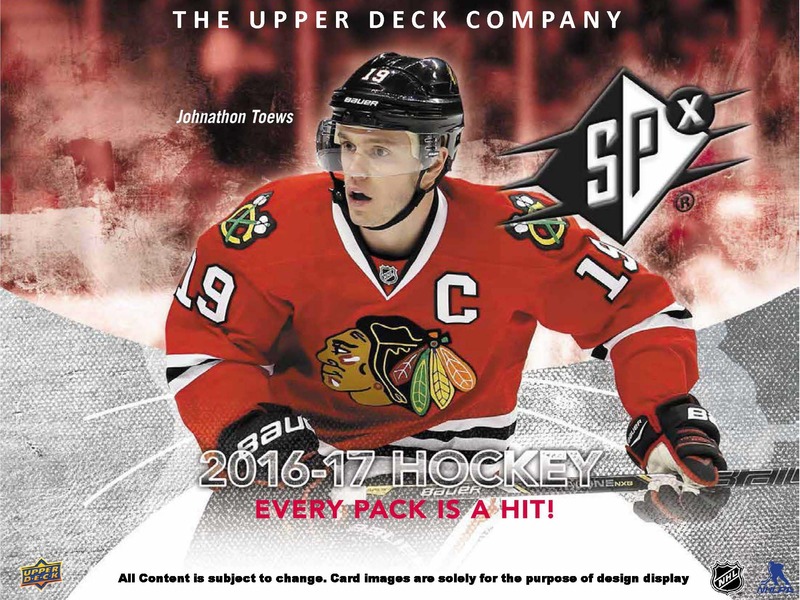 · Look for mind-bending Extreme Black Holo Shield cards featuring stunning holographic NHL Shield Logos! · Find a wide selection of autographed cards including Auto-Patch cards from the finest active and retired stars the NHL has to offer! 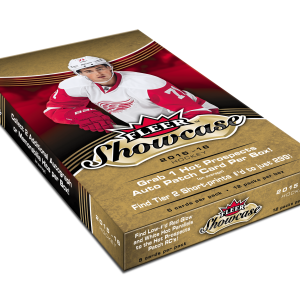 · Grab all new memorabilia inserts including Extravagant Materials, Double XL Materials and Ice Shredders featuring a wide array of premium material parallels!